Products / The ThanksGiving Box ----- SOLD OUT! 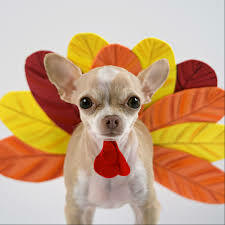 Celebrate Turkey Day with your Best Furry Friend! Includes a bottle of CharDOGnah, a Healthy Drinkable Treat for your Dog, Leftover Turkey Sandwich Treats and a Tom the Turkey Tuffee Dog Toy. The Loving Human will receive an additional 8 items to help you enjoy Thanksgiving together! WAS $40.... NOW ON SALE ONLY $29!